The exhibit opened in mid January and features some of Curtis’ most iconic photographs. 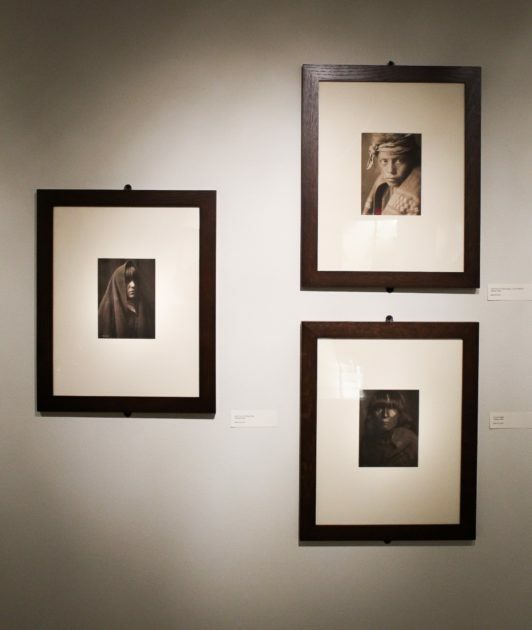 These photos depict various aspects of Native American culture, capturing individuals, religious and ritualistic practices, cultural objects, and everyday life in sepia-tones. 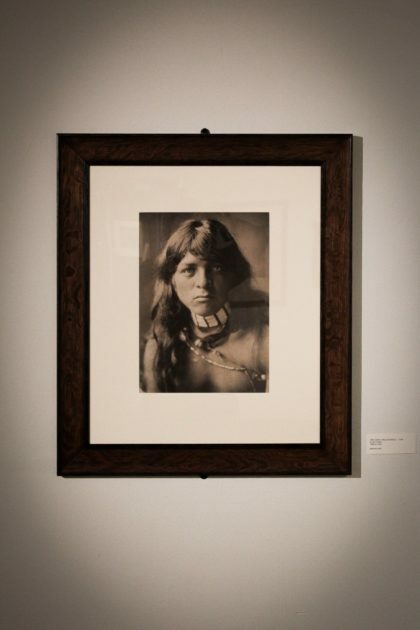 The Schumacher Gallery now showcases Edward S. Curtis’ most iconic photographs. 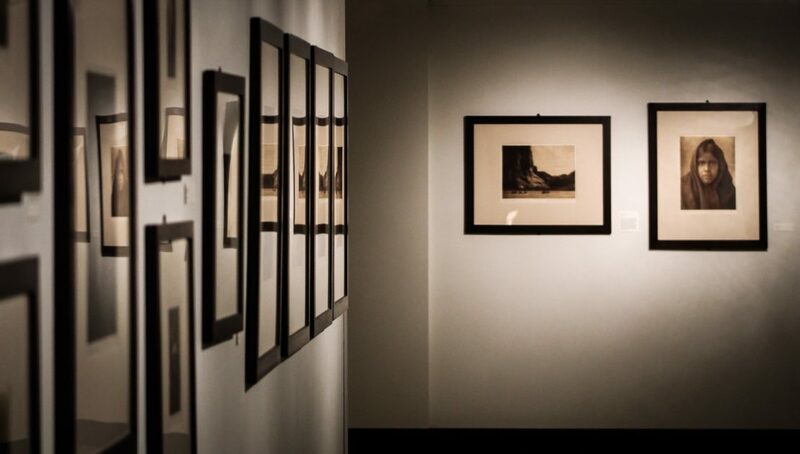 While Curtis used several different methods of photography, most of the photos collected in the exhibition were printed using photogravure, a technique by which photo negatives are etched onto a copper plate which can then be used to print photo copies. As a country, the United States has a complicated, exploitative and destructive history with the indigenous people. It is from this history that Curtis’ photos draw their power and significance. At a time when native cultures were actively being suppressed, Curtis was performing his ethnographic documentation of native peoples in the Great Plains. 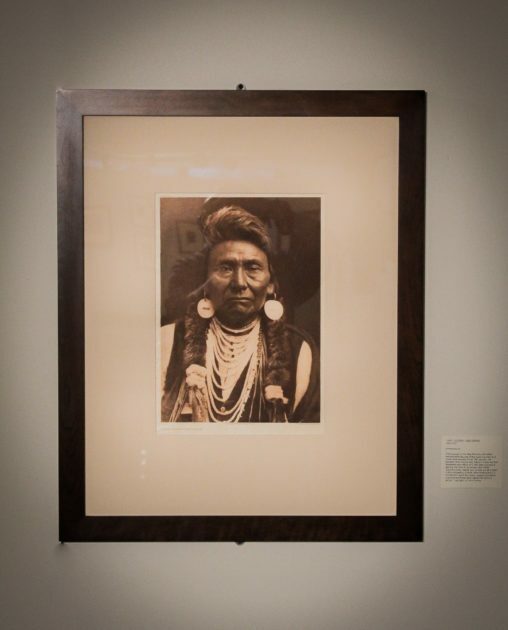 The main photos included in the exhibition are portraits of individual Native Americans, showing men and women in traditional clothing, everyday garb, or simply wrapped in cloth. Most of Curtis’ co-creators are looking directly into the camera, giving the impression that their photos are staring back at the onlooker. The subjects in the photo look back at you, growing the depth of the shot. A few of the photos that made the largest impression on me were those depicting cultural artifacts. One photo named Tawihyilahl depicted a sculpture of a small animal covered in white fur, with wooden eyes, a nose, and horns. Another of Curtis’ photographs simply showed an array of baskets. Curtis’ portraits show the viewer the undeniable humanity of the native people he was photographing. His pictures of the things they made leave an impression of the lives they lived, and the artistry and labors they practiced. One famous photo of Curtis’ called Kotsuis and Hohhuq depicts two performers wearing masks with massive beaks that were actually able to be moved and controlled with strings, like wearable puppets. Photos like this combine the humanity of Curtis’ co-creators with the complexity and depth of their culture and the ingenuity of their craftsmanship. 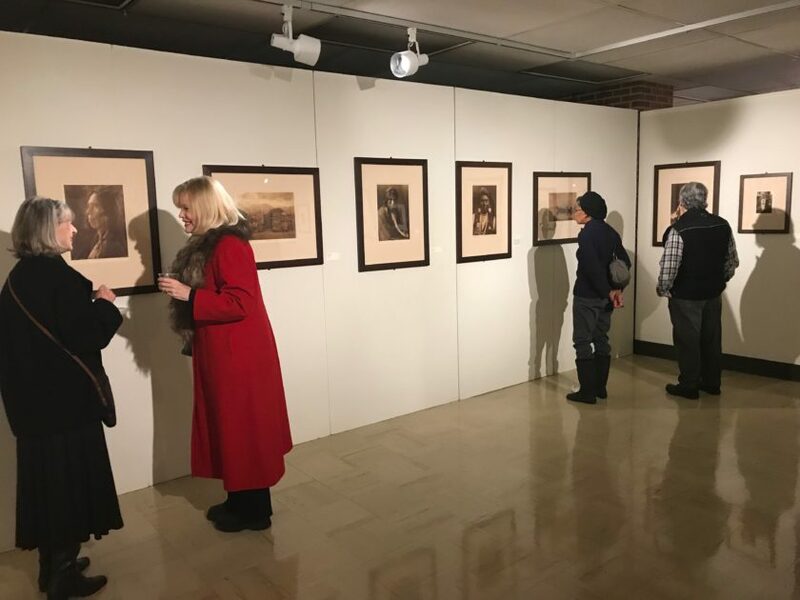 The gallery exhibit opened mid January and is free to view. 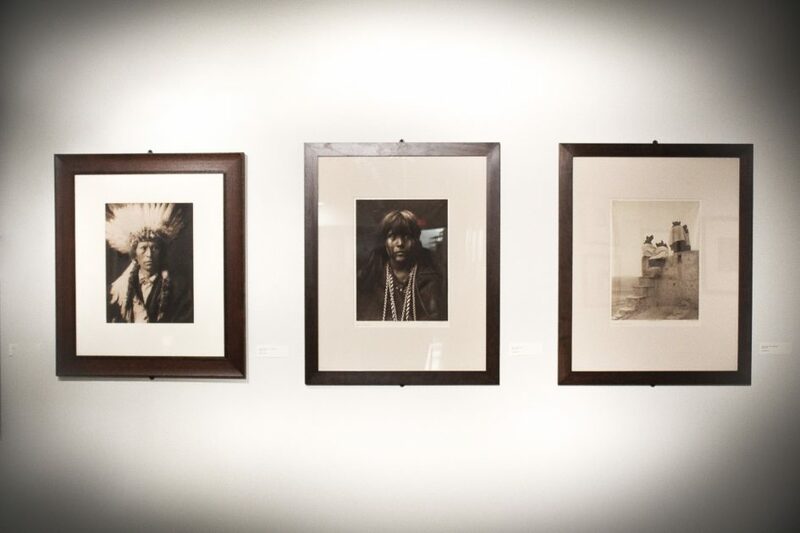 Curtis’ photographs depict members of several different Native American tribes with a respect and an empathy that was sorely lacking at the time they were taken, and even in the modern era. It is our privilege as students to be able to have such powerful imagery hosted in a gallery so close to where many of us live and learn. If you have the opportunity to visit the gallery while this exhibition is still with us, I highly recommend you take the time to do so. Curtis’ exhibit will be featured in the Schumacher Gallery until March 30.